Ok, how I’m writing an April bucket list, I don’t know! Happy Easter! I’m also completely flummoxed as to how H is now 16 months. How?! Where has that time gone. Well I can tell you something straight off, my bucket list for March didn’t go too well. Oooops. I think I’ve been sidetracked. I WILL be better in April. 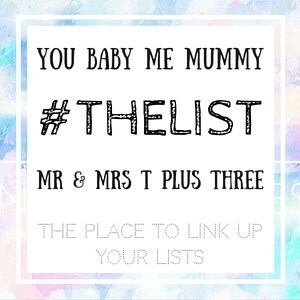 Here’s my April?Bucket List which I’m linking to Twinderelmo’s Bucket List linky. March?brought about my second competition – offering a fab Hatch Card. They’re augmented reality kids greetings cards which come to life using an App. It wasn’t my most successful competition and look out for April’s competition when I’ll be giving away a bundle of 3 Harch Cards. My other favourite posts from March are my How To Make An Easter Chick Cake and 5 Everyday Toddler Tantrums at 15 Months Old. I was planning to write a follow up to?Why would you not vaccinate your baby? ?and The MMR & Autism: 12 children is not enough, however, I haven’t yet. It’s in progress, but I’m not happy with it yet. I’ve a feeling I’m forgetting something, but everything has been surpassed by the amazing fact I’ve been nominated in the MADs Awards (Mum and Dad Awards by Tots100)…. THANK YOU everyone who has nominated me! The next #BehindTheLinky will be live really soon…. so keep an eye out! I’ll add the link here as soon as it’s live! 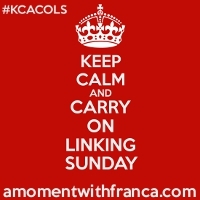 Also check out last month’s #BehindTheLinky with A Moment With Franca the fabulous host of #KCACOLS. I published a few reviews this month,?the cutest Fairy Door?from My Own Fairy, and Hatch Cards singing and dancing greetings cards. Twitter: just over 4k (up from?3,500)- AMAZED! Tots100 – 524 at the start of March… down from February, but close to the top 500?? 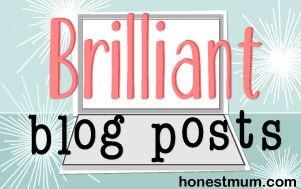 I have a couple of collaboration posts in the pipeline for March?which I’m super excited about – Done! Keep growing #TheBabyFormula linky (if you haven’t linked up, please check it out – numbered lists, reviews (eg 100% or 8/10 ratings), or funny formulas just include a + or =, or write about a birthday or 10 things about me – Keep going, I love the community and we’ve had the most linkups this week – SO many FAB blogs :-)? How have I managed March’s Bucket List? See March’s?bucket list!!! Some good, some… ooops! Blog redesign – I’ve been researching and trying new themes since Christmas, so I’d like to get it all sorted in March. – coming this weekend!! SUPER EXCITED!? Reviews: if you check out my review page you’ll see a list at the bottom… most are half written, I should do something about that. – Nope I haven’t touched them! See all above points I’ve not yet done! Write a post for Cuddle Fairy‘s Happiness Guest Post Series. I REALLY want to figure out Facebook and up my social media presence there…. if anyone has any tips, I’d really appreciate them! Thanks for all the love, please keep following and sharing… and remember to join in the #CraftNight linky tonight! What a great idea to do a monthly bucket list! I am making a life bucket list, but I imagine a monthly one would be a lot more productive and fun. Good luck with yours for April. amanda walsh recently posted…Dont Light It Up Blue, research, educate and do something! Lovely idea, you seem to be doing so much! I don’t get Facebook either! I’m working on my other social sites! I’ve joined up with #thebabyformula!! Brilliant stats – that is really good work in a month! Great new feature and congrats on being nominated in the MADs :)I really want to revamp my pages too but keeps going on the back burner! Beth @ Twinderelmo on Toddler puzzles: Orchard Toys Once Upon A Time puzzle?